The application deadline for fall 2019 has been extended to April 1, 2019. We will accept March LSAT scores for consideration for the fall class. One of the best things about Temple Law is the individuality of our students. Our students come from many different educational and professional backgrounds, and offer something unique to contribute to our community and the profession. We are pleased that you are interested in becoming one of them. What will you bring to Temple Law? Our application process is rigorous, so it’s important to read these application procedures carefully prior to completing and forwarding your application. You should think about the best way for you to demonstrate your unique skills and experiences and give us your most complete and thoughtfully prepared responses to all questions on the application. This information is for applicants seeking admission as a beginning student. Applicants for transfer or visiting status should visit the Transfer & Visiting Students page. We encourage you to apply electronically through LSAC’s online application. You may also download a copy of the Temple Law School Admissions Application, complete and return it to our office. Applicants may also request that a copy of the application form be mailed to them by contacting the Law School Admissions Office at 800-560-1428. The application fee is $65. Payment may be made by credit card if the application is submitted electronically. For applications submitted through the mail, a check or money order should be made payable to Temple University and must be drawn on a U.S. bank. The application fee is nonrefundable and cannot be credited toward any charges if an applicant subsequently registers as a student. Applicants for whom paying the application fee may present a financial hardship may request a waiver of the application fee by emailing their name and LSAC account number to the Law School Admissions Office at lawadmis@temple.edu. The law school application fee will automatically be waived for any applicant who has been approved for a fee waiver from LSAC. All applicants are required to have taken the LSAT within the last five years (i.e., not before June 2013), and to have the scores reported to Temple Law School as part of an LSAC Credential Assembly Service (CAS) Law School Report. Our registration code number is 2906. The last LSAT test date acceptable for fall 2019 admission is March 30, 2019. All applicants must register with the Credential Assembly Service for the academic year during which application is made. It is the applicant’s responsibility to have a transcript from each college or university attended sent directly to LSAC. The Credential Assembly Service will analyze and duplicate the transcript(s) and send an unofficial copy to the law school. Applicants who have not yet completed their undergraduate work are encouraged to send updated transcripts to LSAC upon completion of each semester/quarter so that the Admissions Committee has the most up-to-date academic record when reviewing an applicant’s credentials. 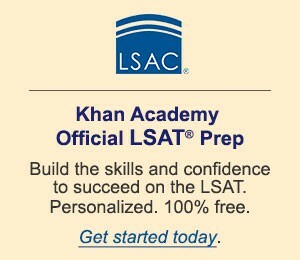 Detailed information on registering with the Credential Assembly Service and for the LSAT is available on the LSAC website. All applicants must provide transcripts from each graduate or professional school attended. Official transcripts of all graduate and professional school courses can be sent either to the Credential Assembly Service or directly to the Temple University Beasley School of Law Office of Admissions. The Admissions Committee suggests that a maximum of four letters of recommendation be submitted. Recommendation letters should come from professors or employers directly acquainted with the applicant’s academic or professional capabilities. Letters of recommendation may be sent directly from the recommender to the Law School Admissions Council (LSAC) for distribution with your law school reports to the law schools to which you are applying or may be sent directly to the Office of Admissions at Temple Law School. Do not have the same recommender send the same letter to both LSAC and Temple. Letters sent directly to Temple should be accompanied by a Letter of Recommendation Waiver Form. These forms should be completed by the applicant and provided to the author of each letter of recommendation. The “Buckley Amendment” to the General Education Provisions Act gives students who register at Temple University School of Law the right to inspect and review the letter(s) of recommendation contained in their law school records, unless that right is waived and the applicant consents to the letter(s) remaining a confidential communication between the law school and the writer. Applicants may waive the right of access provided by that legislation, but are not required to waive the right as a condition for admission to the law school. If a letter of recommendation is received by the law school unaccompanied by a waiver form executed by the applicant and the author of the letter, the letter will be treated as a confidential communication between the writer and the law school. All applicants must submit a personal statement with the application form. This is your opportunity to present yourself, your background, your experiences, and your ideas to the Admissions Committee. You may want to write about your intellectual interests, your career goals, your achievements, your family background, or your involvement in your community. It is up to you to decide what you want to write about and how you want to express your thoughts. Keep in mind that the readers of your personal statement will be trying to get a sense of you as a person and as a prospective Temple Law School student. We encourage you to be as candid and thoughtful as possible. There is no specific length required for the personal statement, although on average, personal statements are two to three pages in length. Applicants will be notified via e-mail when the application and fee have been received and processed. This email will also provide log on information for the Admissions Office Online Status Check through which applicants can check which letters of recommendation have been received by the admissions office and check their application and decision status. An application will be considered complete when we have received a completed application form and current Credential Assembly Service report containing LSAT score(s) and college records. Guided by past experience, candidates whose files are complete before January 15th may have a more favorable chance of admission if they are competitive within the applicant pool. Most applicants can expect notification of a decision eight to ten weeks after their files are completed; however, requests for additional information and January 2019 or March 2019 LSAT scores may delay the evaluation process. Admissions decisions are made from December until June and files are reviewed as they are completed. All applicants will be notified via email of their admissions decision. Applicants may also check the status of their application at any time on the Online Status Check. An acceptance packet will be mailed to all admitted students with instructions on accepting their seat in the entering class. To reserve a place in the 2019 entering class, an accepted applicant must submit a nonrefundable admission deposit of $150 by April 15, 2019, or within 10 days of acceptance, whichever is later. A second nonrefundable deposit of $250 is due by June 15, 2019. Both the first and second deposits are credited toward tuition. To the extent possible, assignment to a particular division is made according to each applicant’s choice. If space is not available in one division, the Admissions Committee may, at its discretion, offer a place in the other division to candidates meeting the common admissions standards. Applicants must obtain written approval in order to matriculate in a division other than the one to which acceptance was granted. It is imperative that the section on character and fitness on the application be answered fully. Because of the high ethical standards to which lawyers are held, the failure to disclose any criminal conviction or pending criminal charge is often more significant, and can lead to more serious consequences, than the criminal conviction or charge itself. If in doubt as to whether or not to disclose a particular incident, we recommend that you err on the side of disclosure. Temple is committed to admitting the very best applicants from our pool of talented individuals. We are proud of our history and of our traditions. We believe in diversity, for it enriches our lives and our ability to succeed as legal professionals. We share a vision of the law as a service profession and a vision of life as made meaningful through service. We understand the aspirations of individuals to find a better way through law. We are dedicated to excellence. The admissions process at Temple reflects these values. Temple’s admission process is very selective. The faculty admissions committee takes seriously its responsibility to carefully and individually evaluate each application. Our admission process is designed to look at the whole person. The faculty selects applicants who have outstanding performance records and exceptional aptitudes for the study of law. In doing so, the faculty recognizes that these criteria are not always reflected by grade point averages and LSAT scores alone. Consistent with the ideals of Russell Conwell, the founder of Temple University, Temple Law School takes seriously its mission of offering opportunities to students who might otherwise be foreclosed from pursuing a high quality legal education. The law school began as an evening program more than 100 years ago, providing students with jobs and families the chance to pursue a legal education. With the support of the Commonwealth of Pennsylvania, Temple has been able to offer affordable tuition to Pennsylvania residents, making law school a more realistic opportunity for many students. More than thirty years ago the faculty at Temple Law School established Sp.A.C.E. in order to give a contemporary voice to Temple’s traditional mission. Sp.A.C.E. is a discretionary admissions process which avoids over-reliance on the LSAT or any other arbitrary and abstract measuring factor in the admissions process. At the discretion of the faculty admissions committee, any application may be considered under Sp.A.C.E.. The faculty has identified the following characteristics as priorities in determining whether or not a particular applicant should be admitted under this discretionary admissions process: applicants who have overcome serious long-standing economic deprivation, or who come from working class families historically foreclosed from higher education; applicants who come from racial or ethnic minority groups; applicants whose families are recent immigrants to the United States; applicants who have demonstrated exceptional leadership ability in college, community or career activities, or who have evidenced a commitment to service through Peace Corps, VISTA, military or other service work; applicants with academic honors, graduate or undergraduate degrees of unusual merit, or undergraduate grade point averages of 3.8 or higher and standardized test scores that do not reflect this academic strength; applicants who worked during college to finance their education or support their families;applicants who identify as gay, lesbian or transgendered; applicants with significant or unusual career achievement since graduation from college; applicants with serious physical disabilities; and applicants with other unique strengths and achievements. If you feel one or more of these characteristics describe you or your background, we ask that you share with us in writing your unique personal history, highlighting for the committee your strengths and achievement. This information will assist the faculty admissions committee in fairly evaluating your candidacy. Information about your personal background and achievement can be included in your personal statement, or if you prefer, in an additional Sp.A.C.E. statement. If you are admitted to Temple Law School, you will know that you were chosen because your skills, abilities, achievements, and potential are the credentials that earned you this opportunity. All admission procedures and deadlines for reapplicants are identical to those for new applicants. Please note that reapplicants are required to submit a new application form, application fee, and a new personal statement and must have a current registration with the Credential Assembly Service. An applicant who has previously attended any law school as a matriculated student must so indicate in the appropriate place on the application form. The applicant must give the name of the school(s) and date(s) of attendance and, on a separate sheet, explain the circumstances in detail. A letter verifying these circumstances must be sent directly to the admissions office from the dean or appropriate officer of the law school attended before the application can be reviewed. Except upon a showing of extraordinary circumstances, admission will automatically be denied any candidate who has matriculated and taken examinations at a law school which is not a member of the American Association of Law Schools (AALS), or has matriculated at any law school and subsequently been dismissed, whether for academic or other reasons. If an applicant presents a degree from an institution situated outside the United States (other than a Canadian affiliate), the academic work required by the awarding institution must be the equivalent of a baccalaureate degree from an accredited institution situated within the United States. Law School Admission Test (LSAT) scores are required of all applicants with foreign degrees. In cases where English is not the first or primary language, it is recommended that applicants provide a Test of English as a Foreign Language (TOEFL) score. Temple Law School requires that your foreign transcripts be submitted through the LSAC Credential Assembly Service. If you completed any postsecondary work outside the U.S. (including territories) or Canada, you must use this service for an evaluation of your foreign transcripts. The one exception to this requirement is if you completed the foreign work through a study abroad, consortium, or exchange program sponsored by a U.S. or Canadian institution, and the work is clearly indicated as such on the home campus transcript. This service is included in the Credential Assembly Service registration fee. A Foreign Credential Evaluation will be completed by the American Association of Collegiate Registrars and Admissions Officers (AACRAO), which will be incorporated into your CAS report. If we determine that you need to submit a TOEFL score, you must contact Educational Testing Service (ETS) and request that your TOEFL score be sent to LSAC. LSAC’s TOEFL code for the Credential Assembly Service is 0058. Your score will be included in the Foreign Credential Evaluation document that will be included in your law school report. Questions about the Credential Assembly Service can be directed to LSAC at 215-968-1001, or lsacinfo@lsac.org. Temple Law School is a supporting member of CLEO and encourages applications from persons who have applied or been selected as CLEO Fellows. Such applicants should indicate this information on their applications. In the case of some CLEO fellows, a decision may be reserved pending successful completion of the CLEO Institute, but successful completion of the Institute in no way assures acceptance by the law school. CLEO fellows who anticipate needing financial aid must comply with the law school’s financial aid filing requirements.